The wonderful islands of the Cyclades offer a plethora of options for cruises and other forms of yacht charters. If time allows a visit to the nearby Aegean islands of the Dodecanese or the Argolic and Saronic Gulfs could serve as an extra treat. The most convenient way to enter the Cyclades is from Athens International Airport, with the Athens' ports and marinas close by. But several islands also have airports, notably: Paros, Ios, Mykonos, Santorini. Instead of a domestic flight from Athens to these smaller airports it is also possible to use the extensive greek ferries system which connects all but the smallest of the Cyclades islands. Obviously, there are better cruises possible to truly discover the rich culture and important ancient history of these Aegean waters in more depth. The ultimate cruises can be experienced onboard the fully crewed superyachts and megayachts. Since these are full charters (also known as private charters), you can decide on the itineraries and schedules. Moreover, the crew will serve only you. Both the megayacht and super sailing yachts come in all sorts of sizes. 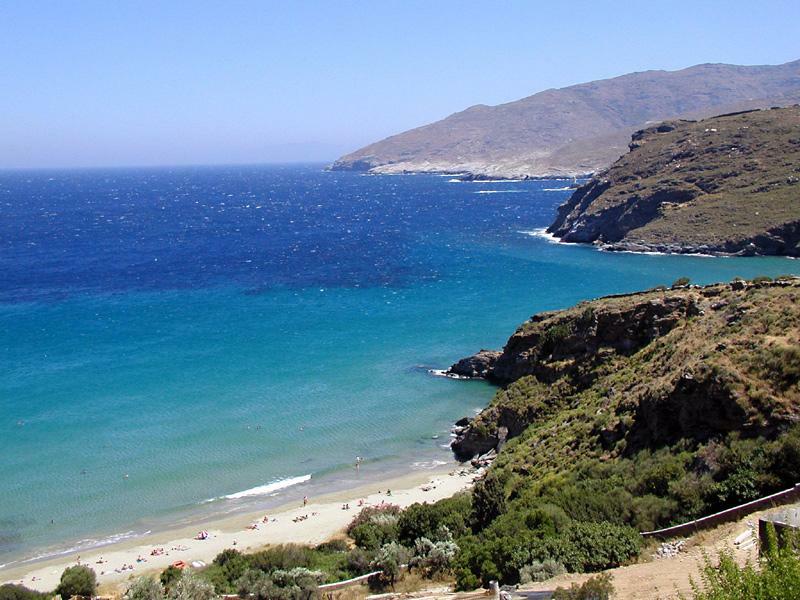 A more romantic equivalent of such luxurious Cyclades cruises are the motorsailers or gulets. These wooden local ships are also fully crewed with cooks, hostesses and deckhands and resemble the blue cruises or blue voyages along the Turquoise coasts of Turkey. Sometimes cabin charters are possible as well. To better choose between the various Cyclades cruises please see my yacht charter page.
.: Back to cruises and Andros island:.